Macrophage. Coloured scanning electron micrograph (SEM) of a macrophage white blood cell. 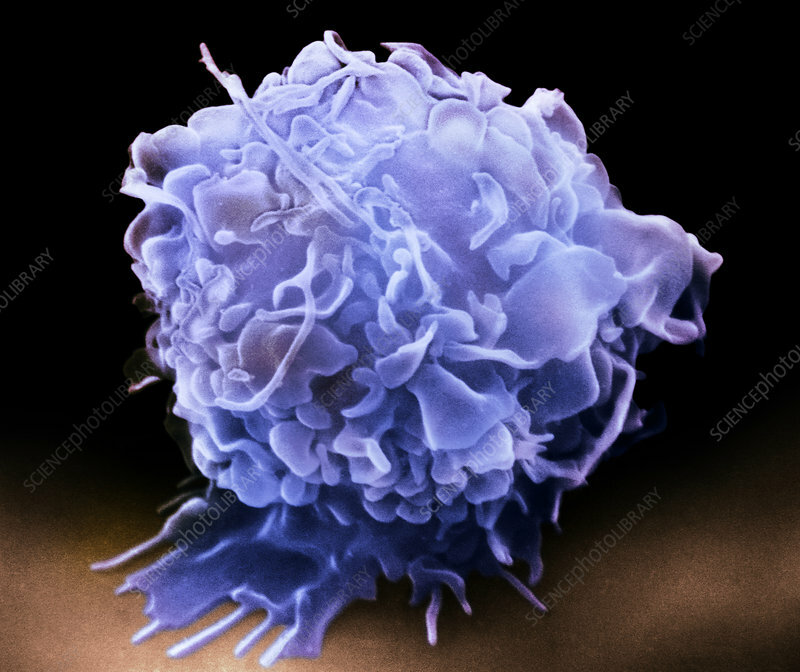 Macrophages are cells of the body's immune system. They are found in the tissues rather than in the circulating blood. The cytoplasmic extensions at the bottom of this cell are used for locomotion within the tissues. Macrophages recognise foreign particles, including bacteria, pollen and dust, and phagocytose (engulf) and digest them. Magnification: x4000 when printed at 10 centimetres wide.